I think this will be way better than Yakuza 6. The 'Yakuza 2' remake will hit the West nine months after its Asian launch. While Western fans of the Yakuza series are still patiently waiting for Yakuza 6: The Song of Life's delayed PS4 launch next month, Sega decided to tease further by announcing that Yakuza Kiwami 2, the remake of Yakuza 2 from 2008, is also heading to the West on August 28th. This is surprising considering that there is a 28-month gap between the Japanese debut of Yakuza 6 and its Western counterpart, whereas for Yakuza Kiwami 2 it's just going to be a nine-month wait -- assuming that there will be no delay, of course. In other news, following the botched release of the Yakuza 6 demo that let folks play beyond the intended limit, Sega said it will finally be releasing the demo back online "early next week." This should keep fans busy until April 17th, at which point their progress in the demo will be carried over to the full game. 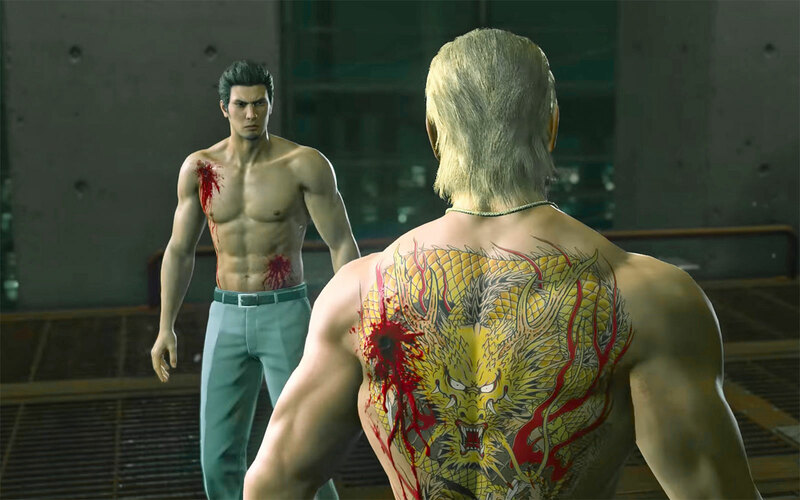 Following Yakuza 6, Yakuza Kiwami 2 is the second game in the franchise using the Dragon Engine, which offers a near-seamless experience when your character enters buildings or encounter street battles. Like the original release, Kiwami 2 is set a year after the first Yakuza story, where Kiryu is tasked with a mission to prevent a massive fight between the troubled Tojo Clan -- which he had tried to avoid returning to -- and Osaka's ambitious Omi Family. Because of this, the two dragons of the Yakuza saga would eventually meet: Kiryu as the "Dragon of Dojima" and Omi Family's Ryuji Goda as the "Dragon of Kansai." Much like Kiwami, Kiwami 2 offers a new playable story based on "Mad Dog of Shimano" Goro Majima, which sees him forming his own company, Majima Construction, as well as encountering his crush Makoto Makimura from Yakuza 0.